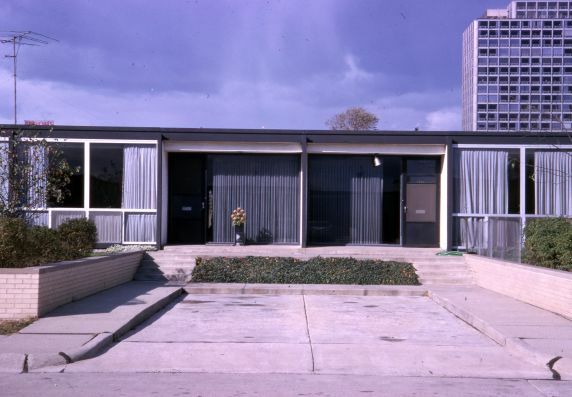 An exterior view of one of the one-story town houses in Detroit’s Lafayette Park. Designed by Mies Van Der Rohe, Lafayette Park, located in Detroit’s lower east side just north of downtown, was the first urban renewal project in the United States. The 78-acre housing development, which includes two residential high rises, town homes, a shopping center and a park, was built on the land cleared when the Black Bottom neighborhood was razed in the 1960s.